Either set to look square, round, or oval, these stunning engagement rings are easy to match with a Peter W Beck Wedding Ring. 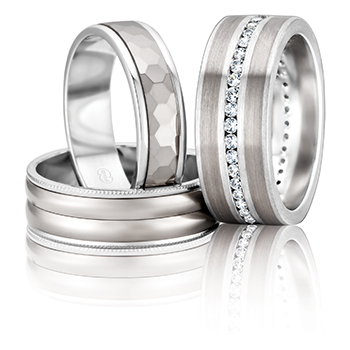 Below are some of our classic diamond set Wedding Rings, proven to match this eternally stylish design. Classic designs are a must have for any Wedding Ring collection, but now you can add a subtle and elegant finish to any Peter W Beck Classic Wedding Ring and give a Classic Design a fresh look. Change the look and feel of your Peter W Beck Wedding Ring, by mixing together different carats of gold to create a unique multi tone effect. 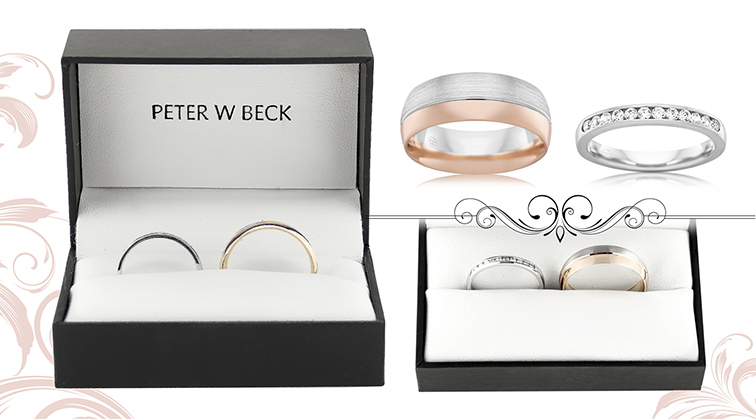 A modern and striking collection never seen before, new to the Peter W Beck range of Wedding Rings! Over 118,000 weddings happen around the country each year and each one is slightly unique and different. What will you be doing to make your wedding different to suit your personality? A huge congratulations to Bonnie and Nathan, our winning couple from our competition held at Rundle Place! These beautiful matching wedding rings were picked by the couple themselves, we hope you love them! As part of our South Australian promotions over the next year, we will also be investing in a whole year of television & radio advertising, as well as our national print campaigns. Finishes. The choice is yours. 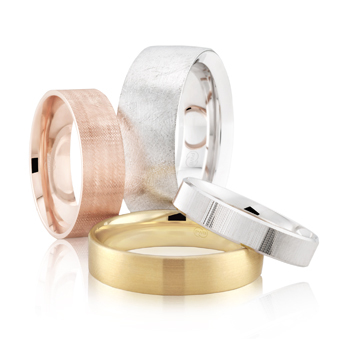 When it comes to choosing a Wedding Ring, there are many options with how the ring is finished. 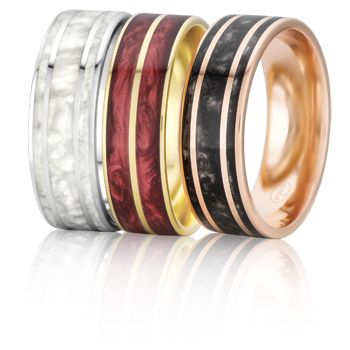 A finish is the treatment of the outer surface of a ring, which gives it a unique look and feel. It is also used as a way to highlight certain design features. 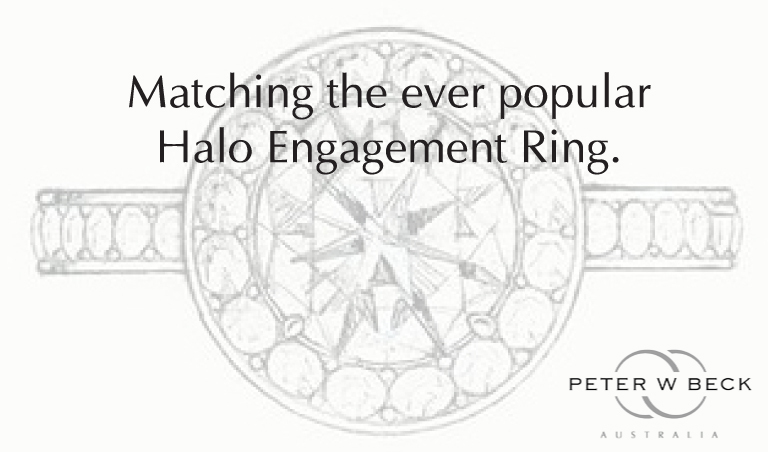 This way, the same ring can have a very different appearance when different finishes are applied. 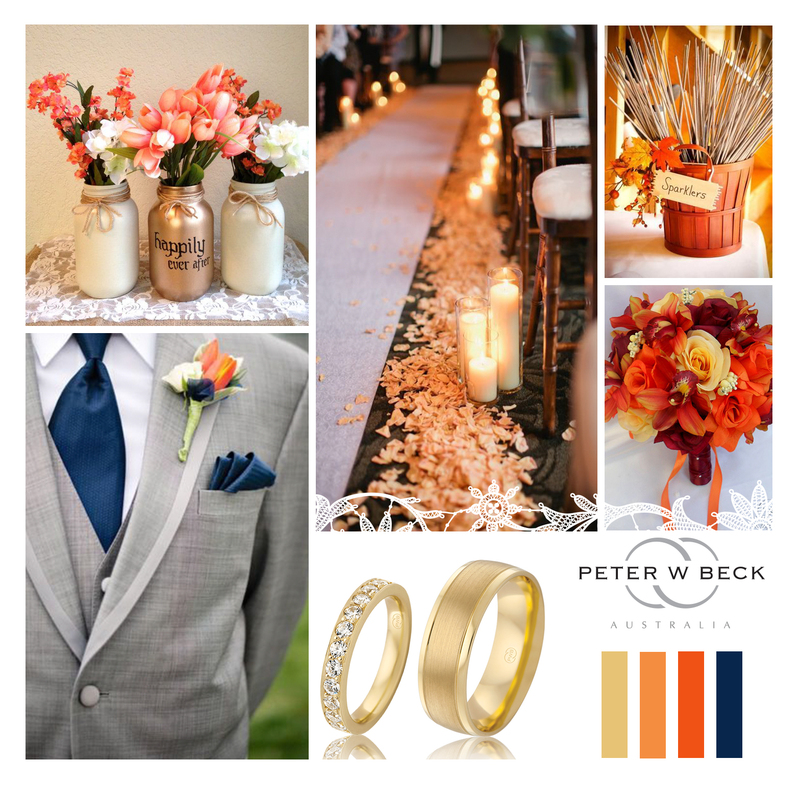 In late January 2015, Peter W Beck will attend its first ever Bridal Event in South Australia! The Best Day Ever Wedding Festival is already proving to be a stand out event and will be held at the Adelaide Convention Centre, in the new and exciting Riverbank Precinct.